If we let The Behind the Scenes Pic of the Day in, the ship could be infected. You know the quarantine procedure: 24 hours for decontamination. 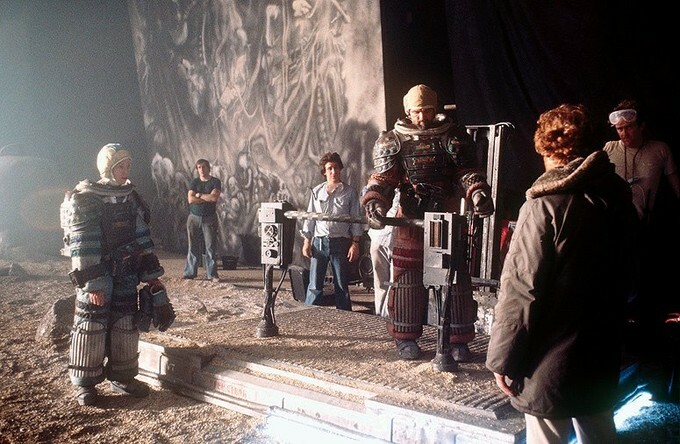 You can never have too many behind the scene shots of Ridley Scott’s Alien. When your costuming, production design and set craftsmanship is so top notch there’s always going to be an interesting picture floating around out there. Today’s image is one of those interesting images featuring the set, Tom Skerritt, Veronica Cartwright and the back of Ridley Scott’s head. Many thanks to Robert Miller and the PEG for this pic. Enjoy! Tomorrow’s pic will swallow your soul.